…I’ve got something better for you! 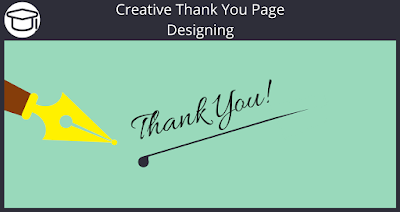 So let me ask you this, what if you could create a Thank You Page designed directly from the work you put into your opt-in page. Transfer over the background image, the size and spacing of your text, and even video. Well it’s actually very easy. All you have to do is “duplicate” the landing page and edit the copied page into a thank you page. This is a quick tutorial on how to accomplish this. Or click the video below. You’ll see a more uniformed look between the landing page and the thank you page. It’s great because you don’t have do as much work. Makes it easy when all you have to do is edit a few lines of text and delete the input boxes for name and email. Remember to have and get creative with these new landing page templates.